Comedian and actor Benny Hill, was a famous resident of Eastleigh. Before seeking stardom on stage and screen, Benny’s first job was in Woolworths in Leigh Road, before becoming a milkman at the Hanns Dairies. His time working in the town on a horse-drawn milk float inspired my personal favourite novelty record of all time - Ernie, the fastest milkman in the West which was a Christmas number one in 1971. 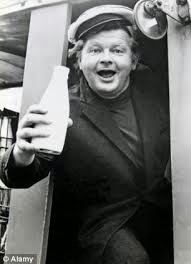 There’s a plaque laid in Benny’s honour next to the site of the now demolished dairy under the Swan Centre and a new road has been named Benny Hill Close, although many of the new home owners weren’t happy with the decision. 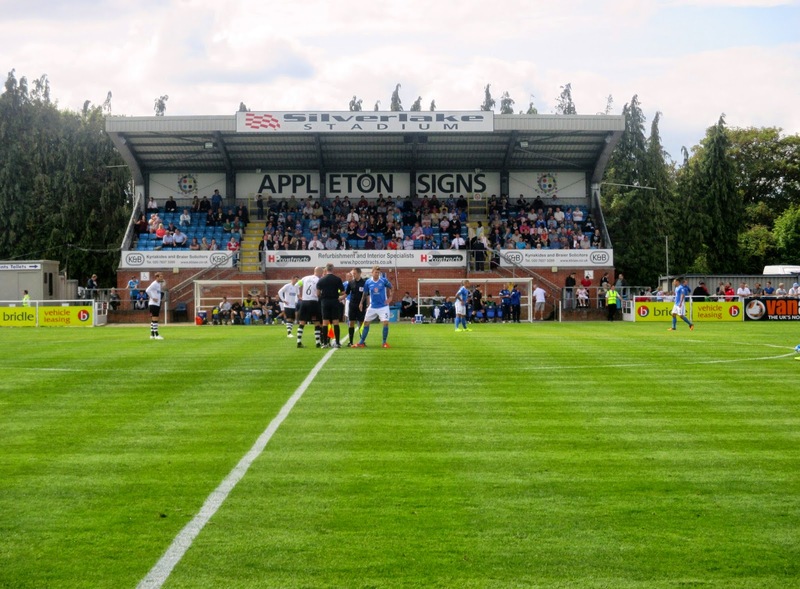 Eastleigh FC are nicknamed “The Spitfires” after the Supermarine Spitfire, the British single-seat fighter aircraft which was used by the RAF and many other Allied countries during and after the Second World War. 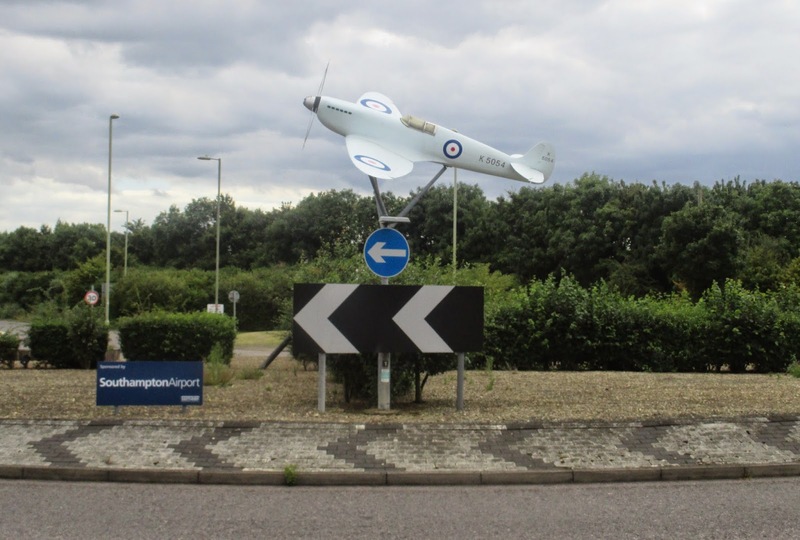 The Spitfire was built in Southampton and first flown from Eastleigh Aerodrome, which is now Southampton International Airport, where a replica has been placed on the roundabout at the airport entrance. 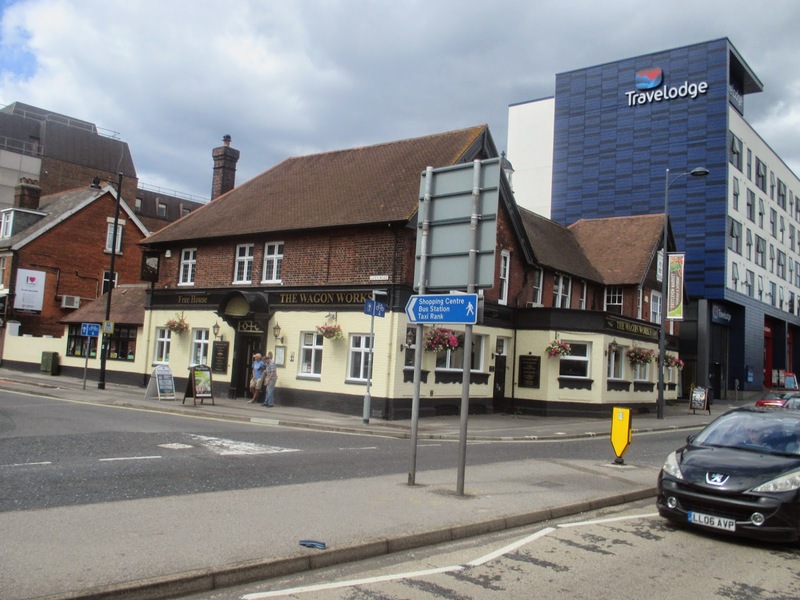 The club was formed as a pub team in the Fleming Arms and were originally known as Swaythling Athletic. They joined the Hampshire League in 1950 and changed their name from Swaythling to Eastleigh in 1980. The became founding members of the Wessex League in 1986, winning the league in 2002–03 and promotion to Division One East of the Southern League. 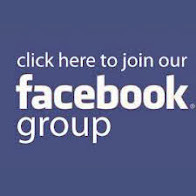 After the reformation of the pyramid system in 2004 the club were transferred into the Premier Division of the Isthmian League, winning the play-offs in their debut season after a third place finish. They made the Conference South play-offs in 2008-09 but lost out to eventual winners Hayes & Yeading, and again in 2012-13, this time losing the semi-final in a penalty shoot-out against Dover Athletic.Last term promotion to the top table of Non-League was achieved, winning the league title after finishing five points ahead of runners-up Sutton United. Ten Acres has been the club’s home since leaving Walnut Avenue in 1957. The ground benefited from major development in 2006. 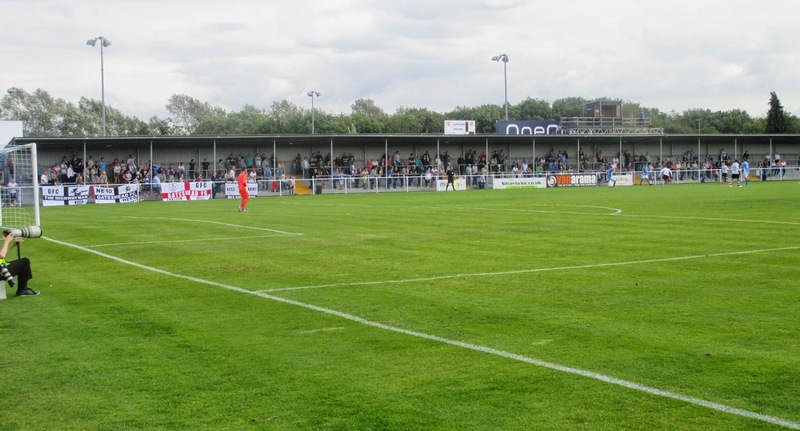 The old Silverlake Stand cover was extended and 150 seats were added to the Main Stand. The grandstand sits on the halfway line, decked out with 371 blue flip seats elevated above the dugouts at the front. 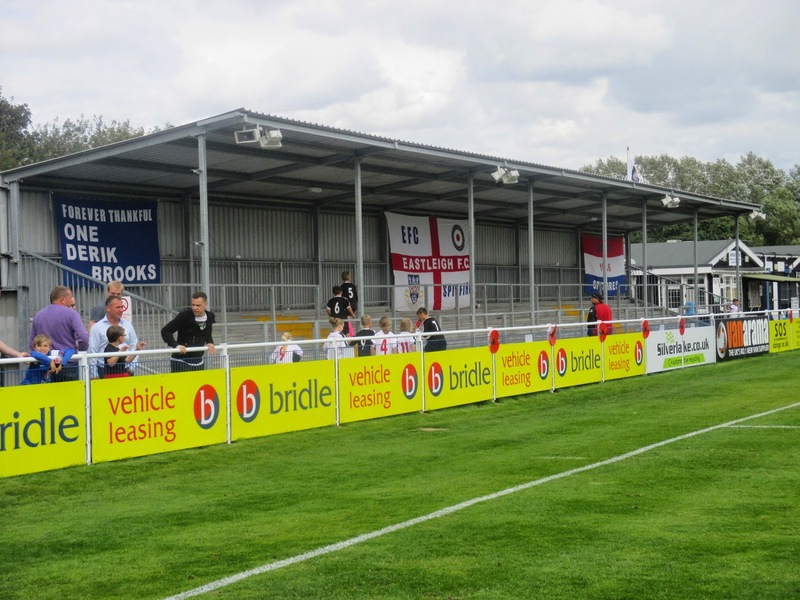 The brick dugouts were knocked down in the summer and replaced with Perspex dugouts closer to the pitch. There’s open terracing each side of the stand with a snack bar, toilets and hospitality cabins. The East Terrace was also added in 2006 and during the summer the former East stand at Sandy Park, the home of Exeter chiefs RFC was rebuilt along the whole side and extended with a section behind the clubhouse goal, giving standing cover for 2,000 spectators. In the far corner an additional 50 blue flip seats have been added and on the roof is a TV gantry(which made its full debut on Thursday) and a scoreboard. 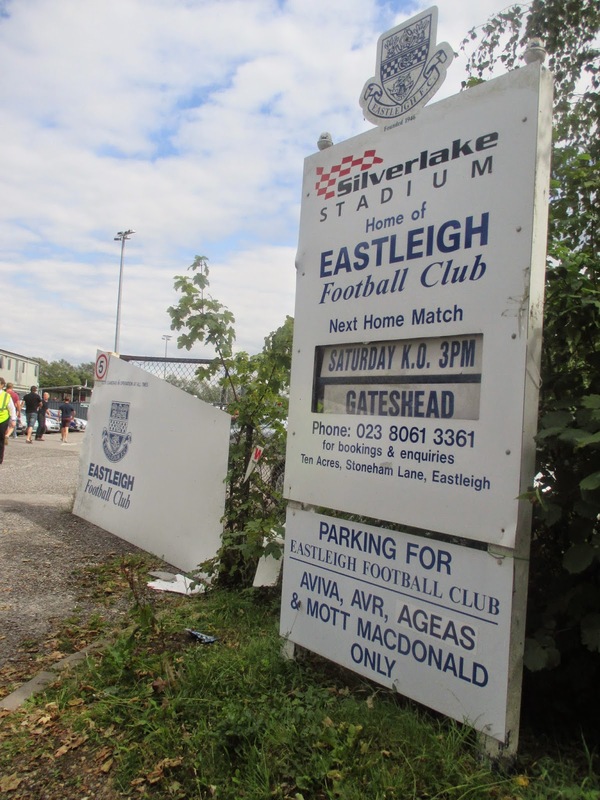 The Clubhouse building also houses the club shop where the Conference South trophy was proudly on display, and at the other side of the covered terrace is the Eastleigh FC Executive Club. The Silverlake Stand has now gone and the land is currently being prepared for a new 2,300 seater stand. The record attendance is 3,191 for a friendly match against neighbours Southampton in July 2007. Gateshead turned around a half time deficit to grab a well deserved point in Hampshire. The Heed were gifted the lead on 21 minutes when a right wing cross from Maddison was headed past Flitney by the unchallenged Dean Beckwith. 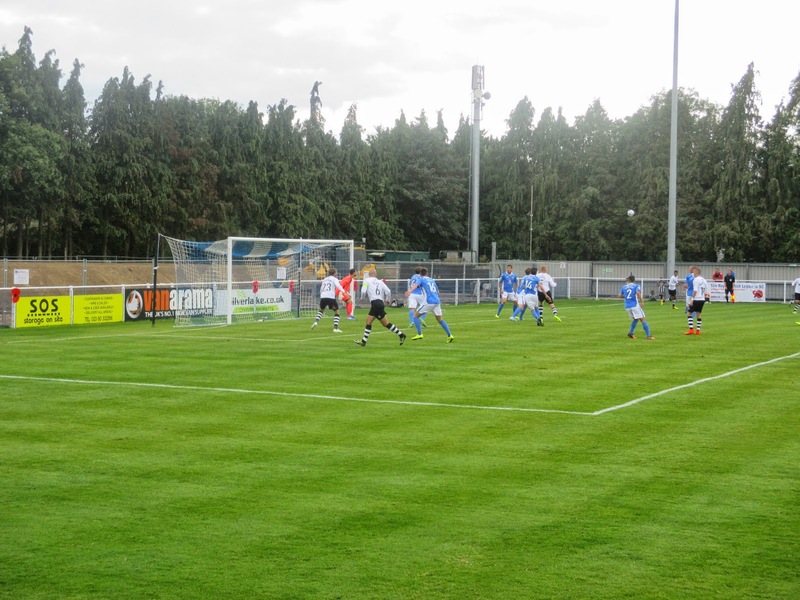 The Spitfires shot into the lead with two goals just before half time, both from set pieces. A free kick from the right was met by Ben Strevens, nodding in at the far post, then a corner kick was swung to the back stick where Jack Midson headed in unmarked. The equaliser arrived ten minutes after the restart when good wing play from substitute JJ O’Donnell teed up Alex Rodman who stooped in a header at the far post. An entertaining encounter could have gone either way, then in 85th minute a late challenge by Michael Green on Rodman saw Eastleigh reduced to ten men. The Tynesiders pushed for a late winner but couldn’t take advantage of the numerical advantage so had to settle for a point, as both team start the season with 7 points from the first three games after bagging two wins in the opening week. It was surreal leaving at lunchtime to go and watch Gateshead play 330 miles away at the bottom end of the country. This is the furthest I’ve travelled to watch the Heed play but its also the latest I’ve departed to get there! 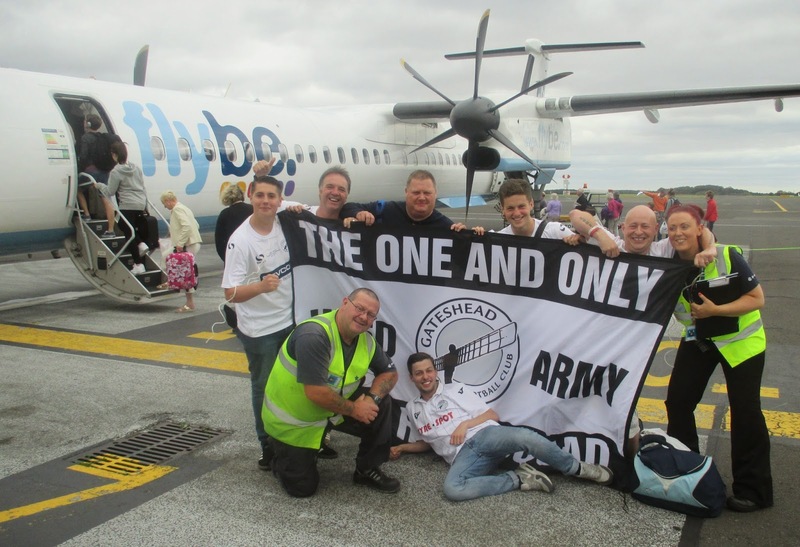 Seven fans took the HeedAir...sorry!...the FlyBe flight from Newcastle to Southampton Airport which was due to take off at 12,05pm and arrive in Hampshire at 13.25. The plane took to the skies ten minutes late, but landed ten minutes early, so the flight duration took just an hour. According to the sign outside the terminal its only 99 steps from plane to train, so I nipped along to Eastleigh by rail for a quick pint and to tick off The Wagon Works JD Wetherspoons. On my arrival back I underestimated the distance from Southampton Parkway to the ground, but luckily a passer by told me about a shortcut so I got to the ground ten minutes before kick off. At the game I spoke to Squad#108 John Robinson and #196 Keith Arthur who had also travelled to the game from opposite ends of the country. I was staying the night in Southampton and John tipped me off that there’s a bus which stops outside the ground which would take me straight there, instead of the long trail back to the train station. On exiting the ground the bus was just pulling into the stop, so I arrived at my overnight digs nice and early. 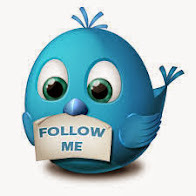 I spent my Saturday night at the guest house watching the tele….Howay! Give y’sel a knock.... of course I didn't ..I went into the town on the lash! My HeedAir travel companions were staying in Eastleigh, so I became a Mr.William Nomates, because I wanted to do the three ‘Spoons boozers while I was staying in Southampton. 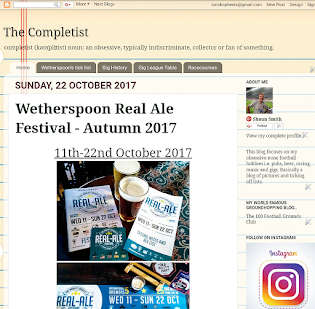 I also drank in a couple of pubs in between including visiting one which I suspected may have been a gay bar*, the clue being pairs of blokes sitting very close together and notice board adverts for pink festivals, I might have been wrong but I didn’t hang around the find out, even though they had an untried ale on offer. I left the guesthouse at 9am next morning, luckily there was a bus stop just around the corner with a service that took me straight to the airport, so it was nicely timed for my 10am flight back to Newcastle. 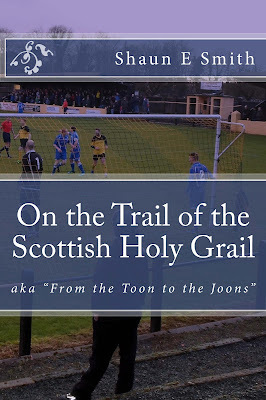 I was sitting back in Gallowgate View before noon supping a cuppa, chuffed with a point for Gateshead and ticking off a far flung ground courtesy of HeedAir. Foetoes - 30 pictures from the Silverlake Stadium and match ticket.